Providing the highest quality products, service, and knowledge for our customers' specific foot needs. A hammer toe is a toe that is contracted at the PIP joint (middle joint in the toe), and can lead to severe pressure and pain. Ligaments and tendons that have tightened cause the toe’s joints to curl downwards. Hammer toes may occur in any toe, except the big toe. There is often discomfort at the top part of the toe that is rubbing against the shoe. Hammer toes are classified based on the mobility of the toe joints. There are two types – flexible and rigid. In a flexible hammer toe, the joint has the ability to move. This type of hammer toe can be straightened manually. A rigid hammer toe does not have that same ability to move. Movement is very limited and can be extremely painful. This sometimes causes foot movement to become restricted leading to extra stress at the ball-of-the-foot, and possibly causing pain and the development of corns and calluses. Hammer toes result from a muscle imbalance which causes the ligaments and tendons to become unnaturally tight. This results in the joint curling downwards. Arthritis can also lead to many different forefoot deformities, including hammer toes. Changing the type of footwear worn is a very important step in the treatment of hammer toes. When choosing a shoe, make sure the toe box (toe area) is high and broad, and can accommodate the hammer toes. A shoe with a high, broad toe box will provide enough room in the forefoot area so that there is less friction against the toes. Other conservative treatments include using forefoot products designed to relieve hammer toes, such as hammer toe crests and hammer toe splints. These devices will help hold down the hammer toe and provide relief to the forefoot. Gel toe shields and gel toe caps are also recommended to eliminate friction between the shoe and the toe, while providing comfort and lubrication. If the problem persists, consult your foot doctor. Our store specializes in sizing and fitting shoes to your feet. We carry a large number of brands of comfort shoes, in all of those hard to fit sizes. New Balance, Brooks, Saucony, Finn Comfort and Naot are JUST A FEW Name brands that we carry. The FootWorks Store also carries new lines of shoes from Drew shoes and Orthofeet. These shoes address diabetic, arthritic and hard to fit feet. We are here to help! We will stand behind our products and services. If there ever is any issue with our products or service, we will do our best to fix it and make it right! Appointments are strongly preferred, but walk-ins are welcome. 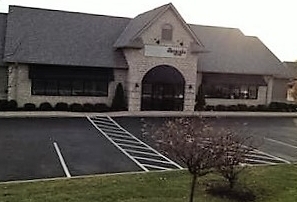 We are conveniently located on State Route 256 (Hill Road) in Pickerington, OH, 1 mile south of Interstate 70 on the East side of the street. Turn left at the 5th stop light from I-70, across from Huntington Bank and Kohls. WordPress Design by jhWebWorks, LLC.